Dr. Dorina Nicula earned her DDS degree in 1997 at the Carol Davila Dental School where she graduated Salutatorian in her class of 350 students. She practiced in Southern California since 2003 and owned her private dental practice in Laguna Hills, CA since 2010. Remember graduation day from dental school? You were on top of the world, head full of ideals, ready to start changing people’s lives one smile at the time. All you had to do was tell them what they need and they will follow your advice. Right? After all, it only took 8 years to get this degree, you were an expert in the matter. Fast forward a few years later and you’ve realized by now that is not as easy as you thought it would be. In an era when technology is available at a click of a button and information comes at us on multiple channels every minute of the day, patients seat in the dental chair and they already have a solution for their problem! Apparently everyone is now admitted to the Google/Bing/Yahoo University, right? So what’s a poor doc to do? Well, in today’s world, the expression “a picture is worth a thousand words” is more relevant than ever. It makes sense to choose a more affordable yet reliable model than a very expensive one. This wonderful little piece of technology, which has existed for many years, but only recently in a light, easy to use form has revolutionized the way a dental examination is conducted. Most doctors cannot even conceive practicing without one. One could go as far as to say it is as important as a good high speed hand piece because if you don’t get to diagnose a problem, you don’t get to treat it. It is not a question if there’s a need for an intraoral camera in a dental practice but how many cameras are needed to make sure they’re readily available for anyone to use. The market is flooded with numerous models of intraoral cameras from the very expensive high-end ones to the more affordable ones. It is not the scope of this article to help you choose an intraoral camera but rather to share some common sense tips on how to get the most of its use once you have chosen one. I would say however, that it makes sense to choose a more affordable yet reliable model than a very expensive one. I personally found that the $1000 price range is the sweet spot in terms of quality/support vs. cost. That way each room could have its own camera, making it easier to use it on every single patient, every day. Let’s be honest, if the camera is not within your grasp when the patient is in the chair, you or the hygienist will not use it every time! Soon enough there will be an increase in the treatment plan acceptance and you will get to use your high speed more! A very common complaint of camera malfunction is a blurry image. There are several reasons that could cause it and the sad truth is that most are related to human error. Once a certain model has been selected and purchased, make sure you read the instructions before you start using it. Keep in mind this is still a piece of dental equipment and you will save yourself a lot of aggravation if everybody is properly trained with the maintenance and cleaning procedures. So schedule a lunch and learn with all the dental assistants and dental hygienists to review the manufacturer instructions. If the practice has a back office coordinator, she/he should be in charge of supervising all dental personnel is following the proper cleaning and maintenance procedures. A very common complaint of camera malfunction is a blurry image. There are several reasons that could cause it and the sad truth is that most are related to human error. If the manufacturer recommends using barrier plastic sleeves and avoid spraying the camera with disinfectant, make sure you follow that recommendation. Changing the sleeves between patients will not only prevent saliva to infiltrate inside the camera lens causing a blurry image but it will also prevent cross contamination between patients. The use of barrier sleeves will also make unnecessary any disinfectant spray use. Simply replace the barrier after each use and the camera is ready for a new exam. Also, make sure the barrier is placed the correct way. All barrier sleeves have a clear plastic window that goes over the camera lens and an arrow that indicates the correct position. If it’s not placed in the correct position the image will again be blurry. This simple error might make you think to make the image better by NOT using a barrier, but all it does is lead you to the bigger problem of saliva infiltration and having to use disinfectant spray which will end with permanent blurry images and finally the demise of your precious camera. So, to sum it up, always use barrier sleeves. Don’t try to save a few extra bucks on disposable supplies, trust me, it is not worth it. Not only you will protect your patients better but you will protect your investment by ensuring a longer lifespan for your new camera. Be patient and give yourself some time to practice, I promise you will become a pro in no time. Now that everybody is on board with the cleaning and maintenance procedures, schedule some time to train yourself and your staff in the proper use of it. As with any new piece of technology, there is a learning curve until everybody is comfortable using it and is able to take a quality picture. All dental personnel should practice on each other to become familiar with the buttons on the camera and the ideal placement of the camera in the mouth for each quadrant. Remember you are working with a moving target in a wet environment and the tongue and the cheeks are in the way most of the time. So be patient and give yourself some time to practice, I promise you will become a pro in no time. First, make sure your hand is supported so it does not move when the capture button is pressed. I find it best to hold the camera the same way as a hand piece and support either on the opposite arch or use the other hand for stabilization. If you find it difficult to keep your hand steady during the image capturing, there are ways around it. Some manufacturers offer foot pedals for capturing the image and some newer models even have a voice activated option. As a side note, I do find the foot pedals bulky and somewhat in the way considering there’s an extra pedal around the dental chair and I do think that with a bit of practice anyone should be able to take a good quality picture using the capture button on the camera. Taking intraoral pictures it is a skill to be mastered and nobody can be perfect at it from the first try. Once you practiced holding and stabilizing the camera, try to find the best positioning to capture images in various areas of the mouth. The closer to the area the more detail you will get (e.g. a fracture line on a surface of a tooth) and the farther away the more teeth you can capture in one image from a couple to a quadrant and even a whole arch. Of course the more difficult areas to take a good picture will be the second and third molar areas especially if the patient has a small mouth opening. To increase the distance in such a case, for an image of the upper molars, the camera can be placed in the lower buccal vestibule and angled to visualize the buccal and occlusal surface. For a palatal view, place the camera on top of the tongue inside the lower molars diagonally from the upper molars you want to capture. Using a dental mirror to hold the tongue in place will help to keep the camera steady. The good thing about the intraoral camera is that you don’t have to worry at all about making a mistake. Conversely for an image of the lower molars, place the camera in the upper buccal vestibule and angle it to visualize the buccal and occlusal surface. For a lingual view, place the camera inside the upper molars on the same side and use the dental mirror to retract the tongue where is necessary. I cannot stress enough the importance of practice to become confident in the intraoral camera use. The same way you had to become confident holding a hand piece, a scaling instrument or placing retractors and mirrors for extra oral pictures, taking intraoral pictures it is a skill to be mastered and nobody can be perfect at it from the first try. The good thing about the intraoral camera is that you don’t have to worry at all about making a mistake. Take as many pictures as you’d like and at the end just keep the good quality ones. It is literally as easy as clicking a button. If the intraoral camera came with integration software, it will save all pictures automatically in the patient’s chart and these pictures will be used as visual aids for dental education and for presenting existing problems that need treatment. Intraoral camera pictures can also be used as documentation for insurance reimbursement. If there is a color printer available in the practice, it is a very good idea to print the pictures and hand it to the patient on the way out as a reminder that the dental problems don’t go away once they leave the dental office. Intraoral camera pictures can also be used as documentation for insurance reimbursement. Anyone who works with dental insurance knows that it has become increasingly difficult to get reimbursed for dental services and having a good preoperative picture might be the missing piece for getting that insurance check. Intraoral cameras have been around for quite a few years and there’s no secret they are very valuable assets to any dental practice. The dentist is happier to better communicate with the patient and have the treatment accepted, the patient is better off for understanding the dental problems and committing to long term dental health. Hopefully these practical tips from a dentist who used Intraoral cameras every day in her practice, will help you make the best out of your camera so that the ideal of changing lives one smile at a time can become a reality. Dr. Dorina Nicula earned her DDS degree in 1997 at the Carol Davila Dental School where she graduated Salutatorian in her class of 350 students. 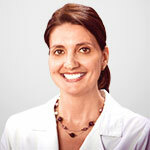 She practiced in Southern California since 2003 and owned her private dental practice in Laguna Hills, CA since 2010.